As Applejack is waiting for a friend, she realizes something about herself that had never occurred to her. The event that led up to this realization somehow sets off enough chain reactions to cause every single one of her friends to hate each other. This year for Hearts and Hooves Day, Rarity surprises her very special somepony with homemade chocolates. But how well will they be received? 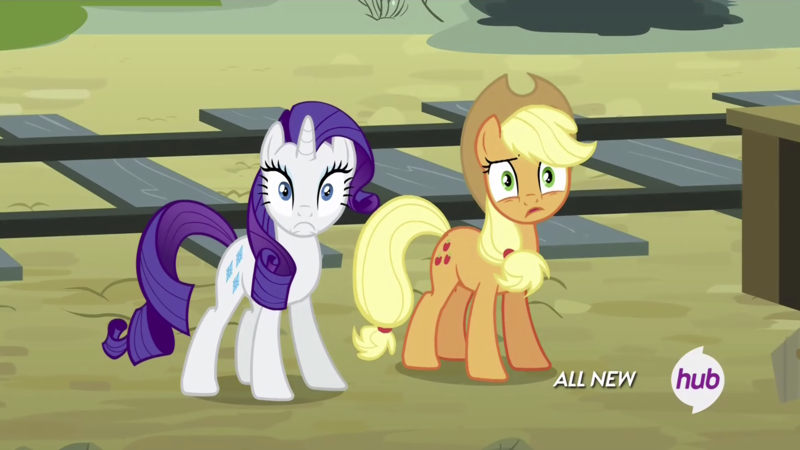 Applejack and Rarity have been too busy to spend much time together lately. But when a certain dress is stolen from Rarity's Boutique, the duo follow a series of clues through the Running of the Leaves and the Town Fair on an impromptu mystery-date. Jack and Rarity find and hold more common ground than either care to admit after they agree to attend the opera together. Twilight Sparkle uses an experiment on the mirror pool creating an evil counterpart bent on seducing the folks of Ponyville. Will Discord give up chaos for love? No. But will he be able to hide his passion from the princess? When the diamond dogs kidnap Rarity, it's up to Spike to save the day and win her heart. But not all is as it appears, and as things spiral out of control, the gods themselves must intercede to contain the chaos. It's been two months since Dusk and Solaris became a couple. However, because Dusk Shine spends more time with his coltfriend then his friends, and he had been missing taking his turn over Berry's antics, his friends decided to do something. A perverted commission, a miscast spell and a thoroughly irritated fashionista has resulted in the latest adorable threat against Equestria as we know it. How will Rarity and friends fix the squeaky bind she has found herself in? Twilight Sparkle is the new girl, and soon finds herself in the middle of a friendship circle,and promises she'll do her best to find out what went wrong with such close friends. Once upon a time , Discord became reformed. But then the boredom set in. So he decided to do the most chaotic and least harmful thing he could. Ship ponies. But one faithful morning he finds he is not the only one, and him and Celestia go on the quest to make Rarijack canon! "Thou hast impressed us! We demandeth thou to make more of these fanfics! And thou must tape the Orange one and the marshmallow together more often! It is hilarious!" The marshmallow one!! Oh, man! In other words... There are no words to describe this fic. Loved every moment of it!!! I'm calling it now, it'll be in top rated very, very soon! I'll fix them as soon as I can. Okay. I am confused. Was the cake... And the dream... And Equestria creation... "Windows.exe has shut down and is attempting to reboot"
now i don't get this fic? That's my theory of what she was doing. Welp, time to see what else Shutup868 meant by "This author writes like you." when they sent me this. I love that Supernatural episode! Ok. This a thing. I like it . Let's continue. This is so oddly amusing.... you should continue it! !